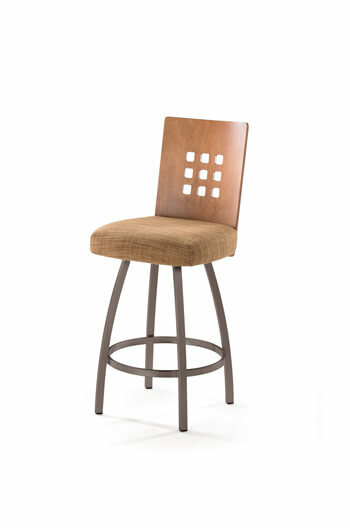 Trica Tristan Swivel Stool w/ 9 Squares on Back, Modern - Ships Free! 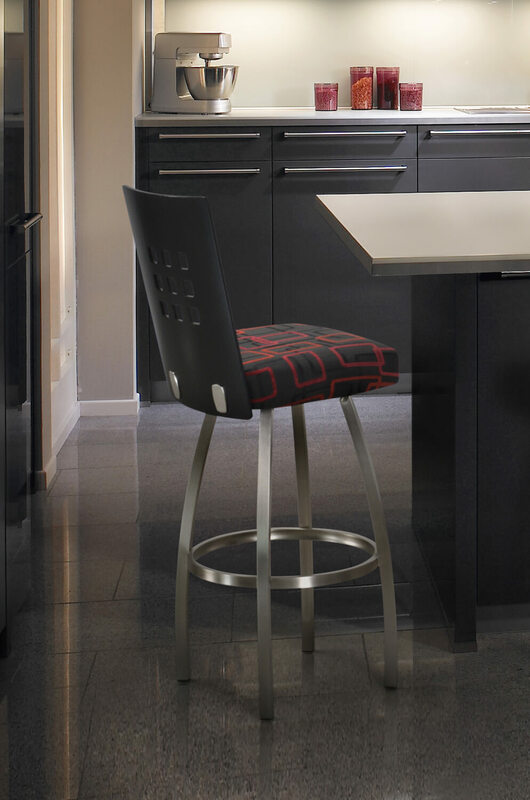 Want to inject a little va-va-voom into your kitchen? 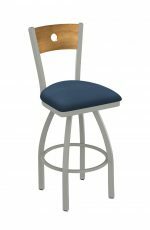 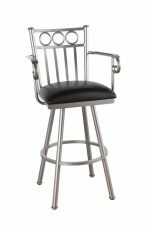 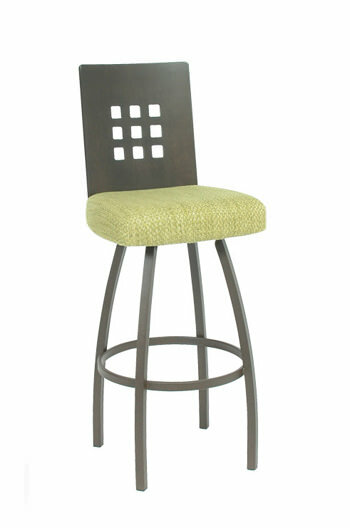 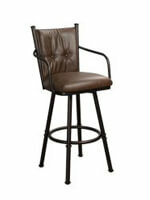 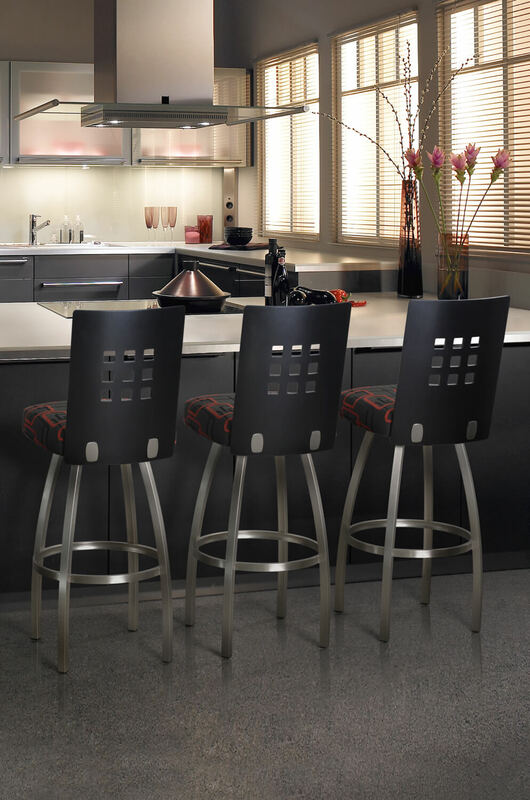 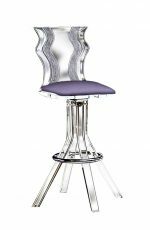 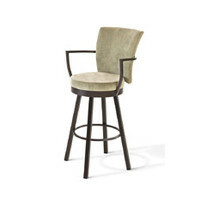 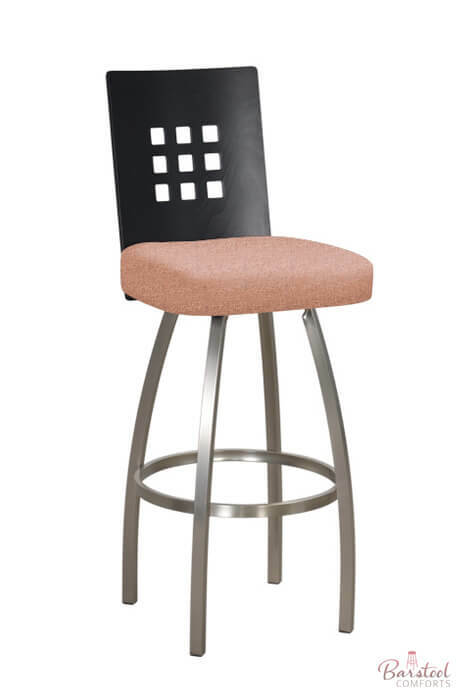 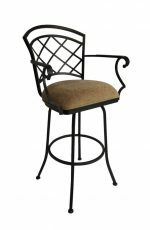 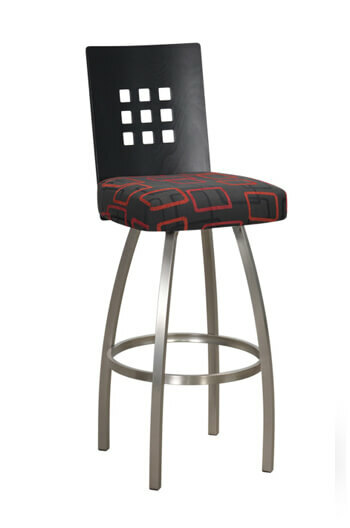 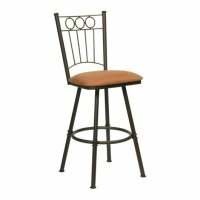 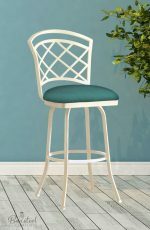 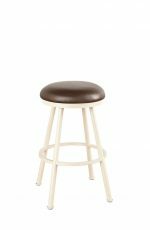 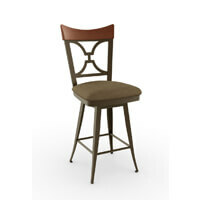 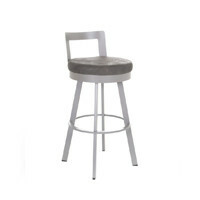 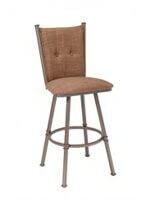 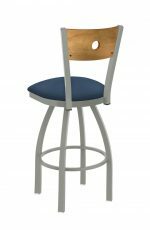 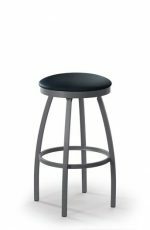 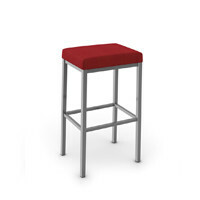 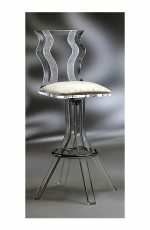 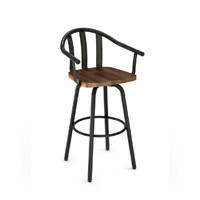 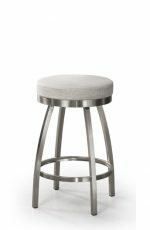 Our Tristan Swivel Stool wouldn’t go amiss in even the swankiest of hotel bars and will instantly spruce up your space. The wooden backrest features a modern cut-out design and is gently curved for your comfort. 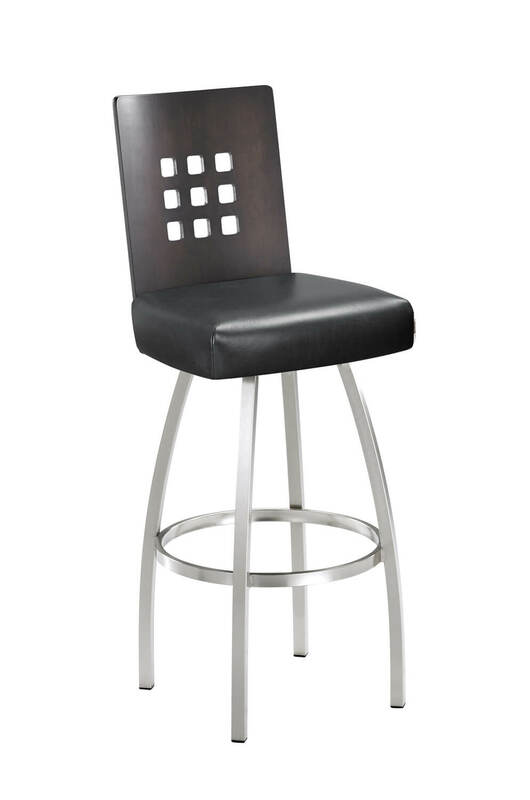 A generously padded seat, footrest and swivel function ensure that your back, bottom and feet are optimally supported – whether you’re enjoying Sunday morning coffee or sipping on an after-work cocktail. 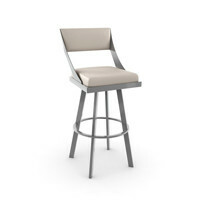 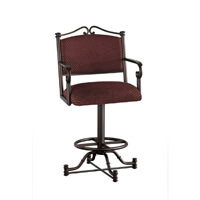 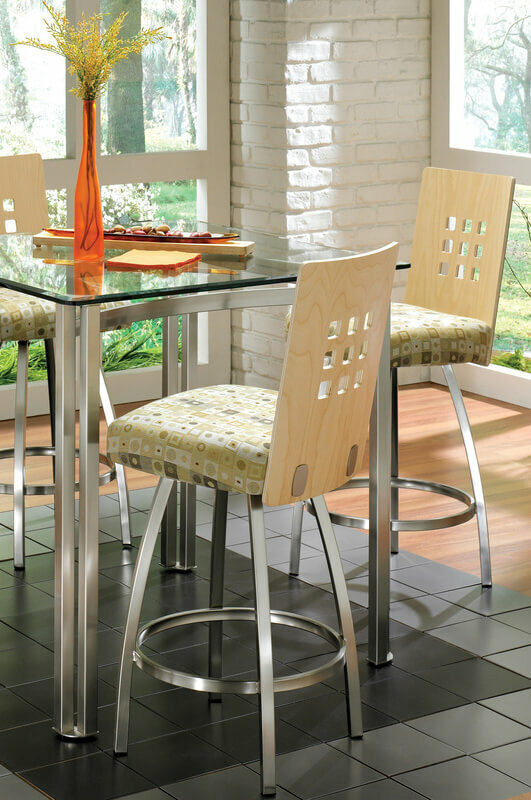 • For the Tristan Swivel Stool, you will need 0.80 yard(s) per chair.